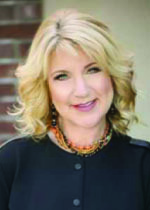 The Palomar Community College Governing Board approved the appointment of Stacy Rungaitis as the new Palomar College Director of Development/Executive Director of the Foundation at the July 11 Board meeting. Rungaitis brings a wide-ranging skill set and more than 25 years of experience to the job. She previously served as Director of Development and Marketing for Feeding America San Diego, and prior to that was a senior director of fund development for North County Health Services, where she led the capital campaign that built the North County Health Services Mission Mesa Pediatrics Health Center. Rungaitis will lead the Foundation’s current initiative to raise money in support of the Palomar Promise, which offers a tuition-free first year of Palomar College education to graduates from 21 local high schools.